Considerable evidence has been mounting supporting a relationship between the gastrointestinal system and Parkinson’s disease. Many pathologists and neurologists believe that Parkinson’s disease may start in the gut, however this view remains speculative. Additionally, there are many GI symptoms such as constipation that occur as prominent and disabling features of Parkinson’s disease. In the July 2013 What’s Hot in Parkinson’s blog I addressed H. Pylori gut infection, and in this month’s What’s Hot column I will update the H. Pylori story, and address the newest finding of a reduction of a bacteria called Prevotellaceae in Parkinson’s disease patients. The discovery that a bug in the gut called H. Pylori could underpin gastrointestinal disease and also lead to ulcer formation was one of the most important observations in modern GI medicine. Why however, would H. Pylori infection be relevant to Parkinson’s disease patients, especially if 2 out of every 3 people on the planet carry the bug in their guts. It turns out that if left untreated, H. Pylori may affect the absorption of Parkinson’s disease medications, and consequently affect the overall response to treatment. In 2006 an important paper by Pierantozzi and colleagues was published in the journal Neurology. The researchers, based in Rome, identified and treated patients with H. Pylori infection, either with an anti-oxidant pill, or with an antibiotic regimen known to eradicate H. Pylori in the gut. The absorption of levodopa in these patients improved, as did the number of hours of “on” time. Later in 2008 in an article by Lee and colleagues from Samsung Medical Center in Korea, confirmed these results. The onset of action of levodopa, the “on” duration of the medications, and the Parkinson’s disease scales improved moreso in the group treated for H. Pylori infection. Nielsen and colleagues in 2012 examined H. Pylori infection, and the risk of Parkinson’s disease in a study published in the European Journal of Neurology. There were 4484 Danish patients included and they were drawn from the Danish Civil Registration System. The use of H. Pylori eradicating drugs was associated with a 45% increased risk of developing Parkinson’s disease. Similarly, the use of proton pump inhibitors was also associated with a 23% increased risk for the development of Parkinson’s disease. The authors speculated that chronic H. Pylori infections and also gastritis could possibly be related to the risk of developing Parkinson’s disease, though there were many methodological issues limiting the overall study interpretation. In a presentation at the International Movement Disorders Society Congress held in Sydney Australia, a group from Malaysia again raised the issue of a relationship between H. Pylori and Parkinson’s disease. There were 27 of 76 Parkinson’s patients in their clinic found to be positive on a breath test that was sensitive for H. Pylori infection. After treatment with oral clarithromycin, amoxicillin, and esomeprazole, the onset of action for levodopa improved, and the “on” time also improved. Parkinson’s disease rating scales and questionnaires measuring quality of life also showed positive trends following treatment (unpublished data from the Movement Disorders Society, Ibrahim, et. al. National University of Malaysia). 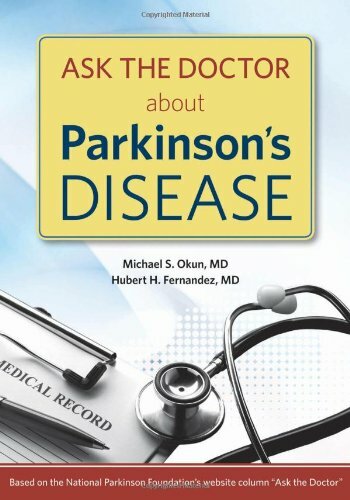 So what about other gut bacteria and Parkinson’s disease? Fasano and colleagues in 2013 published a study that showed that patients with isolated small intestinal bacterial overgrowth had associated clinical issues that may have been underpinned by bacteria. This group observed more dopaminergic “off” time, more delayed-on’s, and more dose failures. 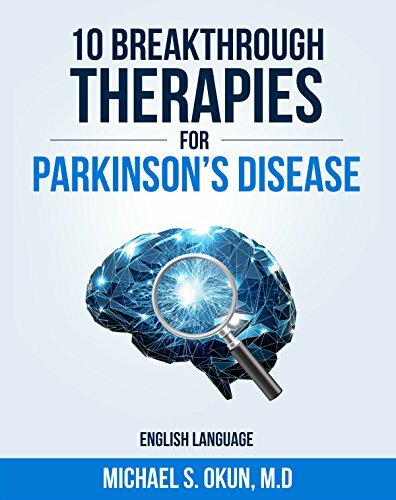 They also reported that eradication of bacterial overgrowth improved the symptoms without disrupting the pharmacokinetics of the Parkinson’s disease medication. The most recent study on gut bacteria and Parkinson’s was published by a Finnish group led by Dr. Scheperjans. The authors of this study point out that the “intestinal microbiota interact with the autonomic and central nervous system via diverse pathways and that these areas are susceptible to Parkinson’s pathology (i.e. alpha synuclein protein deposition).” They studied 72 PD patients and 72 controls and found that the bacteria called Prevotellaceae in feces was reduced by 77.6%. Additionally, another bacteria called Enterobacteriaceae was associated with balance and gait issues, though this finding was much less robust than the Prevotellaceae one. Whether these changes were due to the disease itself, Parkinson’s medications, or other factors will remain for future studies which will need to be larger and also need to control for more potentially confounding factors. 1) The issue as to whether H. Pylori or other gut bacteria are a risk factor for the later development of Parkinson’s disease remains unknown. 2) If an individual patient is experiencing motor fluctuations that cannot be controlled by medication adjustment, this patient should consider asking their doctor (or GI specialist) to check a C-urea breath test for the possible presence of H. Pylori infection. 3) The decision to treat H. Pylori should be made in consultation with both the GI specialist and the neurologist, especially since the infection commonly occurs in 2/3 of the population, and the GI specialist may in some cases need to perform follow-up testing (e.g. a scope to visualize the stomach and intestines). 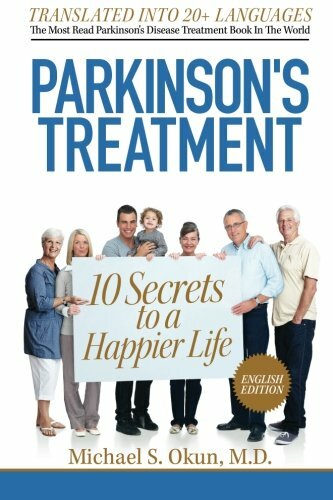 4) Changes in your Parkinson’s symptoms, motor fluctuations, and medication changes should all be managed by your neurologist before and after treatment for H. Pylori. 5) The new findings on Prevotellaceae and Enterobacteriaceau will need further investigation and though interesting, do not have current treatment implications. Pierantozzi M, Pietroiusti A, Brusa L, Galati S, Stefani A, Lunardi G, Fedele E, Sancesario G, Bernardi G, Bergamaschi A, Magrini A, Stanzione P, Galante A. Helicobacter pylori eradication and l-dopa absorption in patients with PD and motor fluctuations. Neurology. 2006 Jun 27;66(12):1824-9. Lee WY, Yoon WT, Shin HY, Jeon SH, Rhee PL. Helicobacter pylori infection and motor fluctuations in patients with Parkinson's disease. Mov Disord. 2008 Sep 15;23(12):1696-700. Dobbs SM, Dobbs RJ, Weller C, Charlett A, Bjarnason IT, Lawson AJ, Letley D, Harbin L, Price AB, Ibrahim MA, Oxlade NL, Bowthorpe J, Leckstroem D, Smee C, Plant JM, Peterson DW. Differential effect of Helicobacter pylori eradication on time-trends in brady/hypokinesia and rigidity in idiopathic parkinsonism. Helicobacter. 2010 Aug;15(4):279-94. Nielsen HH, Qiu J, Friis S, Wermuth L, Ritz B. Treatment for Helicobacter pylori infection and risk of Parkinson's disease in Denmark. Eur J Neurol. 2012 Jun;19(6):864-9. doi: 10.1111/j.1468-1331.2011.03643.x. Epub 2012 Jan 17. Scheperjans F, Aho V, Pereira PA, Koskinen K, Paulin L, Pekkonen E, Haapaniemi E, Kaakkola S, Eerola-Rautio J, Pohja M, Kinnunen E, Murros K, Auvinen P. Gut microbiota are related to Parkinson's disease and clinical phenotype. Mov Disord. 2014 Dec 5. doi: 10.1002/mds.26069. [Epub ahead of print] PubMed PMID: 25476529.